This in-depth feature from the Arizona Republic reviews how dams and water management have thoroughly altered the environment in the Grand Canyon, and how some of those alterations could now be, paradoxically, protecting native fish. The agency that runs the Central Arizona Project on Thursday approved a deal to acquire water from the Gila River Indian Community, or GRIC. The Central Arizona Water Conservation District, in addition to operating the CAP canal, is also in charge of finding water to put back into the ground on behalf of some housing developments, typically those on the outskirts of metro areas. That particular arm of the organization is called the Central Arizona Groundwater Replenishment District, or CAGRD. In the new deal, the replenishment agency will get access to hundreds of thousands of acre-feet of water from the GRIC over 25 years. (One acre foot covers one acre with one foot of water.) The agreement has an initial cost of $97.5 million. The GRIC Council will take up the agreement next week. If it approves, the federal government will need to sign off as well. In the short term, this deal may make approval of a separate drought deal easier, as developers were facing a cutback under the proposed Drought Contingency Plan. That was an important reason the deal received the endorsement of both the Environmental Defense Fund and the Arizona Municipal Water Users Association. Colorado snowpack map November 5, 2018 via the NRCS. Upper Colorado River Basin High/Low graph November 5, 2018 via the NRCS. Gunnison River Basin High/Low graph November 5, 2018 via the NRCS. Laramie and North Platte Basin High/Low graph November 5, 2018 via the NRCS. Upper Rio Grande River Basin High/Low graph November 5, 2018 via the NRCS. San Miguel, Dolores, Animas, and San Juan Basin High/Low graph November 5, 2018 via the NRCS. South Platte River Basin High/Low graph November 5, 2018 via the NRCS. 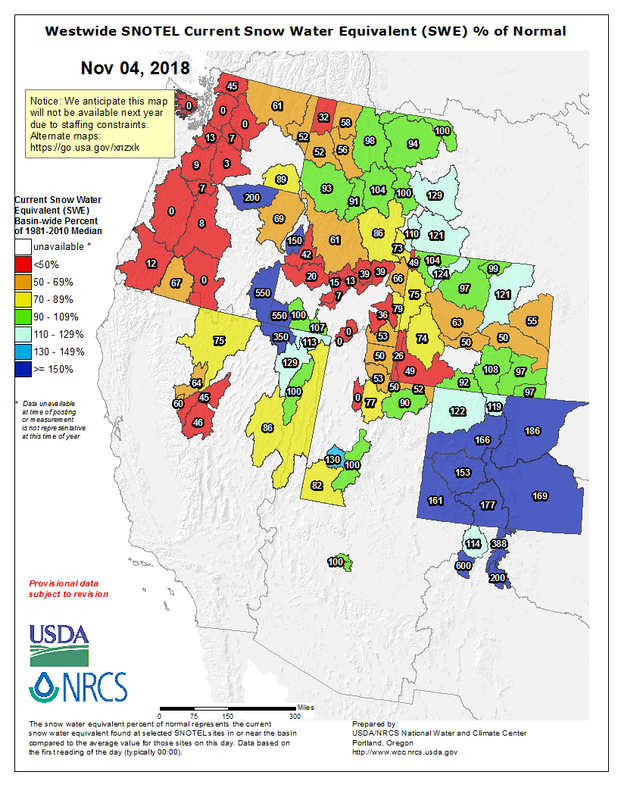 Yampa and White Basin High/Low graph November 5, 2018 via the NRCS. Arkansas River Basin High/Low graph November 5, 2018 via the NRCS. Statewide Colorado Basin High/Low graph November 5, 2018 via the NRCS. Newly-released statistics from the National Weather Service for Denver’s October shows our temperatures were slightly below average and precipitation was about average. Southwest Colorado has also seen plenty of snow with resorts like Wolf Creek reporting 56 inches of snow so far this season. How did this drought get so bad in the first place? Reservoirs that had been overflowing the year before weren’t able to fill back up. However, Colorado residents still needed their water, so they continued to drain. That’s why many of those reservoirs sit at extremely low levels today. So… what will it take to dig us out of the exceptional drought? 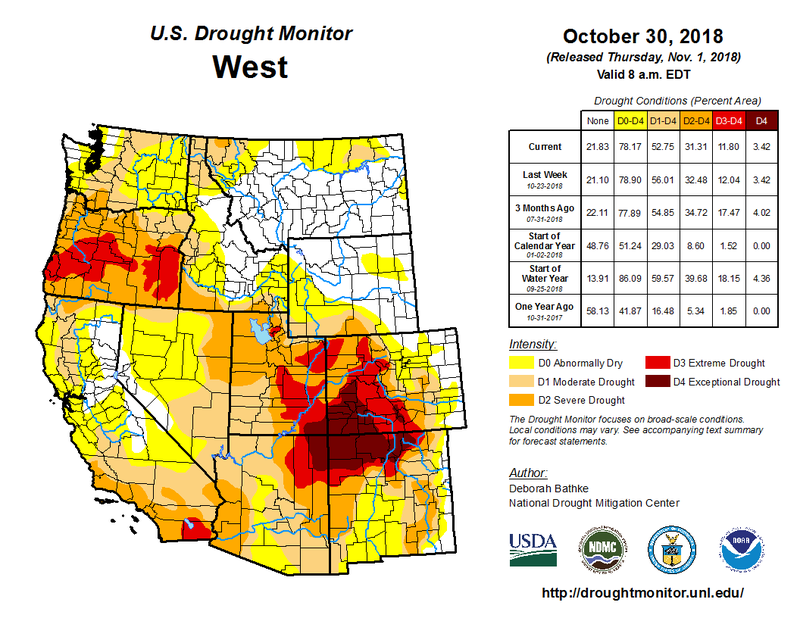 West Drought Monitor October 30, 3018. 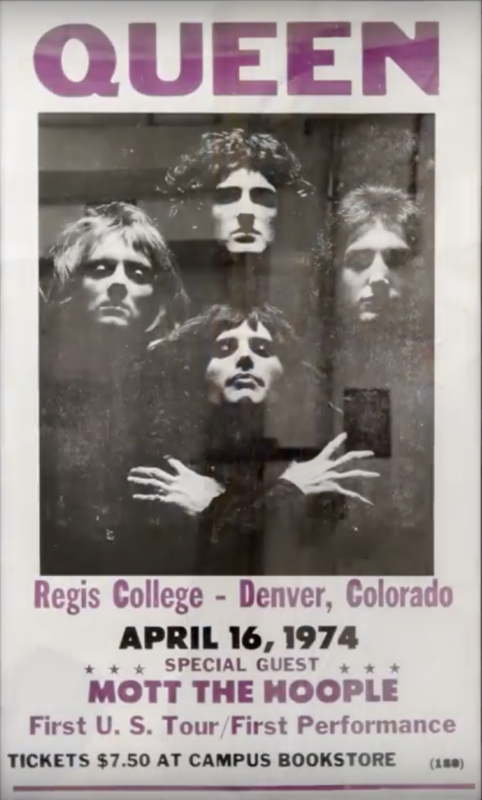 Queen concert poster for 1974 Regis College Fieldhouse. With the release of Bohemian Rhapsody. Many Indian reservations are located in or near contentious river basins where demand for water outstrips supply. Map courtesy of the Bureau of Reclamation. Increasingly, tribes are pressing to have the importance of their water rights recognized and seeking the means to use them. And because in most circumstances a century-old U.S. Supreme Court case moved Native Americans to the head of the line for water rights, they are likely to be the last to have to absorb a cut when water’s in short supply. That could matter as questions are addressed about how water in an already overallocated Colorado River Basin is shared by everyone in a sustainable manner. An impending Colorado River Basin Tribal Water Study by the Bureau of Reclamation and the Ten Tribes Partnership—a group that includes tribes across the Colorado River Basin, from northern Utah to south of Yuma, Ariz.—is expected to shed some light on the current and projected state of tribal water use and development. Formed 26 years ago, the Ten Tribes Partnership consists of federally recognized tribes with federal Indian reserved water rights in the Colorado River or its tributaries. Not all federally recognized tribes in the Colorado River Basin are members of the Partnership. The study, expected to be released before the end of this year, was prompted by a mutual recognition by Reclamation and the Partnership that a thorough understanding of tribal water rights is crucial as the future needs of water users are considered. Longtime observers of Colorado River water policy said resolving the quantification of tribal water rights is an important matter that demands attention by stakeholders throughout the Basin. Nonetheless, greater utilization of tribal water seems to be inevitable. “Before, we’ve been kind of discounted of what actually is the part that we have,” she said. Yet Pollack sees an uphill fight ahead for Native American tribes, saying he believes non-Indian water users have no interest in upsetting the status quo. “The political clout that the large water users have in Congress will likely ensure that tribal water supplies are not developed and that water-leasing mechanisms are not authorized—if tribal water can be leased, the current users of those unused supplies could be displaced,” he said. 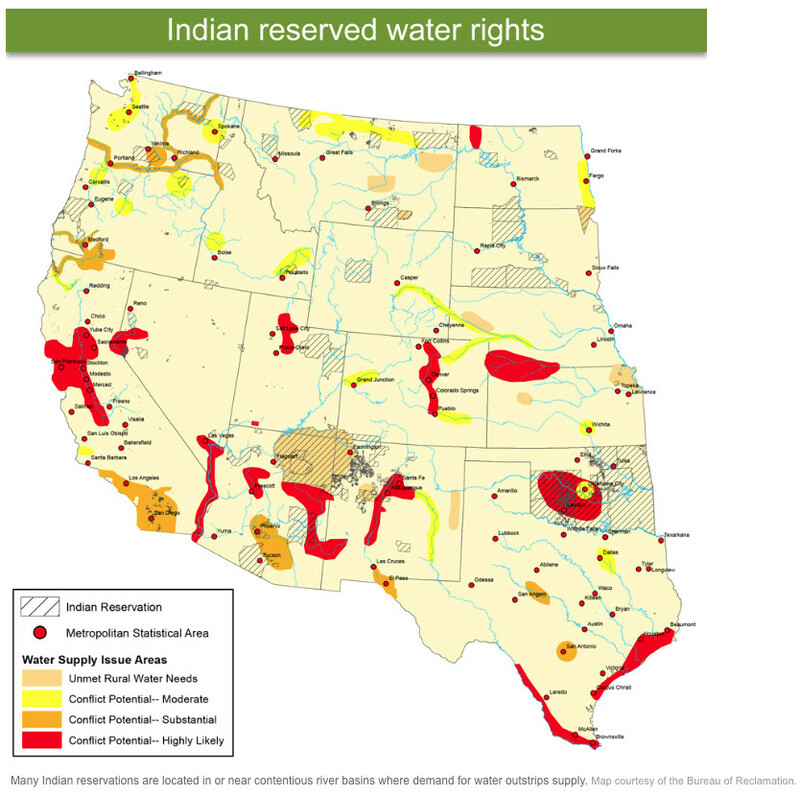 Federal Indian reserved water rights were recognized in the historic 1908 Winters v. United States Supreme Court decision, in which the Court held that when the federal government reserved land for an Indian reservation, it also impliedly reserved water rights. Since that time, water necessary for federal reserved water rights and the resolution of claims have been included in the Colorado River allocation for the state in which the reservation is located. The Indian reserved water rights usually have a very senior priority date, meaning they take precedence to most other water users whose rights have later dates. As a result, there has been a move toward quantifying tribal water rights through settlements instead of facing the reality of adjudication through courts. “Litigating these Indian water rights claims to judgment, the risk is the non-Indian water users may have to make due with less water,” Sigl said. Indian water rights have been on the books for decades but have been largely overlooked, said John Fleck, director of the University of New Mexico’s Water Resources Program. Resolution of outstanding Indian tribal water rights claims is important because it allows states in the Upper Basin—Colorado, New Mexico, Utah and Wyoming—to plan for future demand, said Amy Haas, executive director of the Upper Colorado River Commission. Lower Basin users are cognizant of the need of tribes to access their water from the river, as well as the opportunity to partner with them in further water marketing ventures. Launched on the heels of the signature 2012 Colorado River Basin Study, the Tribal Water Study aims to explore what effects future water supplies and the future development of tribal water could have on the Colorado River System, using a scenario planning process, said Pam Adams, Native American affairs program manager with Reclamation’s Lower Colorado Region. In preparing the study, Reclamation noted that the tribes of the Ten Tribes Partnership “hold a significant amount of reserved water rights and unresolved claims to Colorado River water” and Basin stakeholders should be aware of the effects if a “substantial amount” of the presently unused or unquantified tribal water is used by the tribal water rights holders prior to 2060. The Ten Tribes Partnership consists of the Chemehuevi Indian Tribe, Cocopah Indian Tribe, Colorado River Indian Tribes, Fort Mojave Indian Tribe, Jicarilla Apache Nation, Navajo Nation, Quechan Indian Tribe, Southern Ute Indian Tribe, Ute Mountain Ute Tribe and Ute Indian Tribe of the Uintah and Ouray Reservation. For tribes, meeting their own water needs can be a challenging proposition. Funding is scarce and assistance from the federal government usually requires coming up with matching funds. “For a few reservations, there is a lack of infrastructure and a lack of funding for the infrastructure to get the water to where it needs to be,” said Cloud, with the Ten Tribes Partnership. According to Reclamation, 13 federally recognized tribes located within the Basin have some or all of their claims still unresolved. Tribes have pursued quantification of their water rights through both litigation and negotiated settlements. The settlements involve negotiation between tribes, the federal government, states, water districts and private water users. Tribes with reservations in the Colorado River Basin have quantified rights to divert about 20 percent of the Basin’s annual average water supply, based on an annual flow of 14 million acre-feet, according to the Colorado River Research Group. That 20 percent “is a significant amount of water compared to what everybody else has,” Cloud said. Under the standards for federal reserved water rights the courts have mostly used, the criterion applied is whether a reservation could use water on “practically irrigable” acreage, said Robert Glennon, professor of law and public policy at the University of Arizona in Tucson. 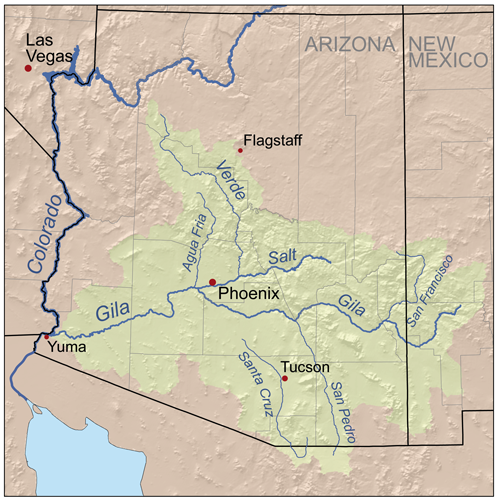 Sigl noted that the Arizona Supreme Court, in its quantification of federal reserved water rights, concluded that the reservations “were intended as permanent homelands” and that factors such as tribal history, culture, geography, topography, natural resources, economic development and past water use are components of quantifying a tribal water right. For their part, tribal council members believe there is a sense of urgency in resolving long-standing claims because of the concern that if they don’t use their water, someone else will. But the path toward getting water to the reservation is uncertain. Pollack, the Navajo Nation attorney, said the drive by tribes to get water on their lands for irrigation and drinking runs into the political reality of negotiating the necessary financing. Resolving the matter means determining whether Congress should approve new Indian water rights settlements, and whether it should fund—and, in some cases, amend—existing settlements. Because of issues such as tribal sovereignty and the desire to retain confidentiality, there is a degree of separation between tribes and state and federal governments regarding tribal water issues. And that is the challenge Indians face as they seek to access their water to provide service and sanitation to homes and to irrigate farmland. There is also the possibility of leasing water rights to nontribal users to provide tribes with economic development, depending on the terms of individual settlements or court decrees. Pollack likened the scenario to the resolution of the Arizona/California water conflict of 50 years ago in which Arizona achieved “a very large, substantial victory” over California, but the water came at a price: The state subordinated its water priority to California to help secure the federal backing for the Central Arizona Project. Water marketing agreements between tribes and other water users are already a part of the landscape in the arid West. In July 2018, officials in Gilbert, Ariz., approved a $31.2 million water lease with the San Carlos Apache Tribe to give the town access to about 6,000 acre-feet of water annually. (An acre-foot typically is enough water to serve two to three households for a year.) Two years earlier, the city of Chandler agreed to pay the Gila River Indian Community about $43 million for rights to a portion of the tribe’s water from the Central Arizona Project, which delivers Colorado River water to the Phoenix and Tucson areas. The agreement stems from a sweeping 2004 tribal water settlements act in Arizona that, among other things, provided the Gila River Indian Community with an annual water budget of 653,500 acre-feet. What’s likely a turbulent water future in the Colorado River Basin means everyone, including tribes, will have to increase their level of involvement as an even greater level of cooperation is needed to meet the challenges, most notably the struggle by the anchor reservoirs of Lake Powell and Lake Mead to reliably provide water to the Lower Basin states. Castle, the former Interior official who now is with the Getches-Wilkinson Center for Natural Resources, Energy and the Environment at University of Colorado Boulder, said she believes tribes will have to move from their “relative lack of participation” to a more robust role in the overall discussions of Colorado River management. The numbers bear this out, he wrote. The Colorado River Indian Tribes, which he deemed “the proverbial 800-pound gorilla,” have adjudicated diversion water rights to 662,402 acre-feet of Colorado River water for its reservation lands in Arizona. “A rhetorical question is, if you have a community like CRIT, with a very small population with rights to 720,000 acre-feet in Arizona and California, and some of that water they are not using and the rest is being used to grow alfalfa, what do you think is going to happen a generation out?” he told Western Water. 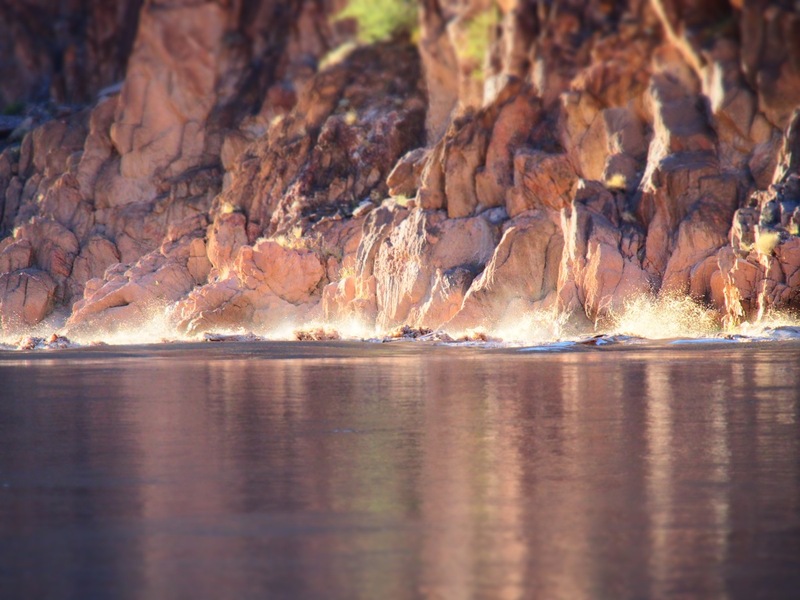 For its part, the Colorado River Research Group, in its 2016 tribal water report, noted that providing Colorado River tribes with the water needed to sustain communities and build economies “is both a legal and moral imperative,” and must be done “in a way that embraces creative, flexible and efficient uses of water, often in partnership with non‐Indian water users.” The way forward, they said, is through negotiated settlements, especially those that empower the tribes to lease water to off-reservation users. In New Mexico, the Navajo Nation agreed to receive less water than they believe they were entitled to in return for an agreement that the federal and state governments would provide the infrastructure to bring water to the Navajo communities where it was needed. Cloud said tribes are expecting to engage nontribal users in a conversation about what the fulfillment of their full water rights means. “That is where this tribal water study really comes into play because it will have the data to back that up,” she said. While the Ten Tribes Partnership includes many different people across a wide geographic swath, it is unified in its desire to get all the water it is entitled to. 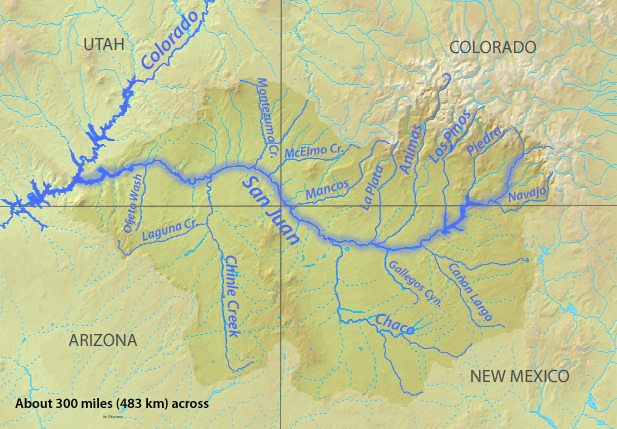 San Juan River Basin. Graphic credit Wikipedia. While the EPA initially encouraged people and businesses to file claims for financial losses, the agency backtracked in January 2017, saying it was legally protected from any damages associated from the spill. The states of New Mexico and Utah, as well as the Navajo Nation, filed lawsuits seeking compensation. New Mexico is seeking $130 million, Utah is seeking $1.9 billion, and the Navajo Nation is seeking $130 million. Over the summer, the EPA, through the Department of Justice, filed similar requests to dismiss the claims, arguing the agency is protected from litigation under federal law. The EPA was acting according to the Comprehensive Environmental Response Compensation and Liability Act by evaluating the mine for remediation and preventing environmental pollution of the Animas River watershed when the inadvertent release occurred, the motion states. The motion states that so far, the EPA has spent $29 million on past and continuing efforts to address mine pollution in the Animas River watershed, including building a temporary water treatment plant and designating the area as a Superfund site. The stage was set for a blowout at the Gold King Mine years before the EPA became involved in the situation. Ferlic said a hearing Monday will brings together her clients, the states of Utah and New Mexico, as well as the Navajo Nation, to set a date to discuss the motions to dismiss. Westwide basin-filled SNOTEL map November 4, 2018 via the NRCS. Vail opens in just 12 days and conditions are already guaranteed to be so much better than the last two seasons, when warm and sunny weather lingered through November. It’s been bordering on full-on winter in the Vail Valley for the past week after a solid shot of snow in mid-October. Vail picked up nearly a foot of new snow with a couple of separate storms late last week, and forecasters are calling for another 5 to 10 inches Sunday night into Monday. Opening day is set for Friday, Nov. 16, at Vail, and Wednesday, Nov. 21, at Beaver Creek. There are currently only three ski areas open in Colorado – Arapahoe Basin, Loveland and Wolf Creek – but two more – Breckenridge and Keystone – join the fray on Friday, Nov. 9. Breck picked up 18 inches from the last storm cycle, and Loveland saw nearly a foot of fresh Saturday. Copper Mountain and Eldora join in the action the same day Vail opens on Friday, Nov. 16, and forecasters are calling for more winter weather later this week and early next week.